I assume Iray won't work with AoA's atmospheric camera. Are there any ways to do godrays with Iray? They are shader based lights and will not work in Iray. You can still use them in 3Delight. and tun it into a light emitter. You can adjust the light intensity, colour and translucency. This should work in any unbiased renderer. I really need to clarify whether shader based lights sold by AoA and Marshian will actually work with iRay if these products use default DAZ shaders. Marshian seems to think they will. Is this correct? What video card and OS are you using? I have Windows 7 Home Premium with 4 GB of RAM and a 2GB Galaxy Geforce GT 520 Video Card. I had the strangest crash of Studio 4.8. One session with a couple renders. Everything fine. Closed it to get something to eat. Remembered I wanted to snip that busy little corner with the menus so I opened it again and used the snip tool. Messed it up so called up the snip tool again but before I actually snipped, I had to handle a distraction. Juicy! We just need an 'add dust and dirt' option for outdoor scenes to get that truly gritty feel. Thank you so much to everyone sharing what they found so far. 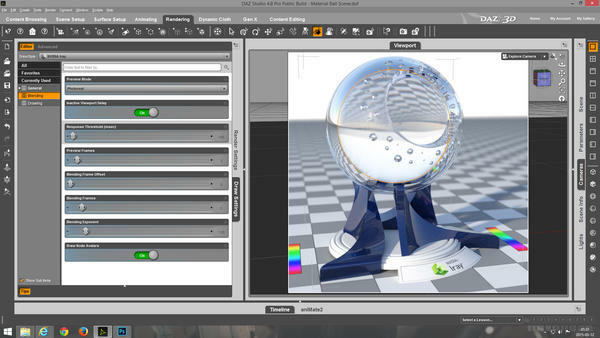 I cannot find the Blend settings to blend between Iray Interactive and Photoreal mode. Set the blend mode to Interactive, turn up your threshold, and you will be blending between Iray Interactive and Photoreal but your movement may not be as smooth as you would want, depending on your Video cards. The Blend settings are a reasonable place to start but are definitely designed to be adjusted to account for your specific cards. I tried in the Render Settings / Editor and Advanced subtabs. Does anyone know where those blend settings are adjusted? k. found it. Seems there is a tab called "Draw Settings"
It seems there you can adjust how the viewport preview is displayed. Added screenshot to show those settings I did find. Added second screenshot to show the Draw Settings. Updated my older 550 last night with the new drivers dated (2-10-15) and my older machine is now rendering via GPU. Before the update, it also crashed. Could someone please explain how you get an interior scene with one emitter light to not be completely black? Do you always have to lower the Exposure value down to 0 or lower from it's default of 13? If I do that, the light emitting object becomes completely white. I expected the Exposure Value to use a base of 0 and we would make small adjustments like with a camera (+1, -1, etc). Why is 13 the default? Every time I think I'm making progress, it turns out I'm not. Using the sun gives easy and realistic results, but otherwise lights in Iray seem to have almost no strength at all. Any preset values would be very helpful, I just want something accurate to use as reference and a starting point. Select the emitter surface - crank the luminance up HIGH. 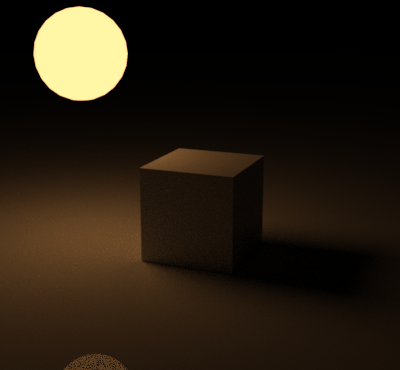 I can't give exact numbers, just do small test renders and keep turning up the luminance until you see what you want. HTH. Yeah, most of my emitters have been like 500 million lum or more. Right, so the render acceleration is ONLY going to work for people with an NVIDIA graphics card... which seems ridiculous to me. It doesn't sound ridiculous to me, Why would you write software to support your competitors. This is just business, if AMD want to support their cards then they would be doing to same. So why haven't they written software to support thier customer I turned my back on them years ago for that very reason. They still are great cards for gaming but there is no support for 3D graphic programs, I guess they focused on the games side. So it more AMD's fault if anything. tJohn: Thanks, but that only makes the emitter white for me, it doesn't really cast light around the room. I need to experiment more, but the inconsistency (which I'm sure is just something I'm overlooking) is getting quite frustrating. Well, I went exactly the opposite way. I have used Nvidia cards for many years. But I have never been completely satisfied with their performance and drivers. So I decided to buy an ATI card, not only for game performance, but also ATI cards are said to have much better OpenGL performance, which is very useful with DAZ Studios viewport. 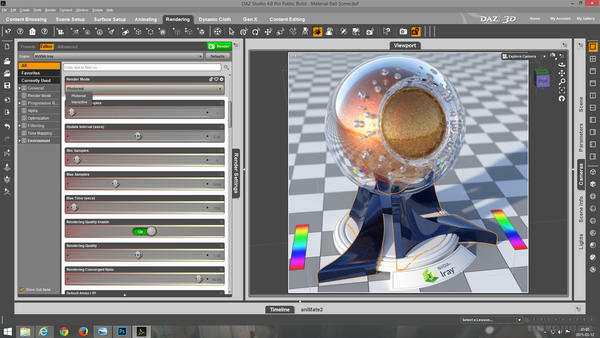 ATI also supports OpenCL for hybrid and/or GPU rendering in Luxrender. Thanks for the suggestion, Superdog. I'm not thrilled at returning to image based godrays, but the emitter idea is interesting. Nvidia is pretty aggressive with developing stuff like this, so I don't expect that volumetrics is too far off for Iray. Most other PBRs have them...yes, even Luxrender. I've seen some renders by Totte and others that appear to be Dimension Theory HDRI sets, including shadow catchers, in Iray. Long story short, now I have a ATI R9 270X, which completely rocks. The best card I have ever had. And now DAZ comes up with Iray... guess how I feel.... :-) You got no arguments from me that they are good cards. But if they don't have the software support what can you do. Cards don't cost much theses days. Still it's tough for you guys, get into AMD tell them you want better support ! Well, I hear you and I agree that "software sells hardware". I am just not very happy that DAZ is trying to force us into s special brand of hardware, just because they made a deal with that company. Professional software works with any kind of hardware. Everytheng else is just a kind of advertisment. I was able to render V6 with the String Bikini and Fashion Hair, up to 50 iterations, without crashing, but no environment or background. Emitters - instead of putting the Luminance up to crazy numbers, why not change the units used? Here's two renders with the sphere as an emitter. One has the Luminance set to 50000 using the default unit (cd/m^2). The other uses Luminance set to 50, but with the Units set to kcd/m^2. You got no arguments from me that they are good cards. But if they don't have the software support what can you do. Cards don't cost much theses days. Still it's tough for you guys, get into AMD tell them you want better support ! Professional software that you have to pay for, should work with any kind of hardware. However when that software is free, and written by the manufacturers of one type of hardware, then clearly they are not going to support their rivals equipment, since it is only through the sale of more of their hardware will they recoup the not inconsiderable costs of creating an unbiased renderer. I personally would ignore that and just up Luminance until it looks like you think it should. You can justify this, to some extent, by assuming the scene overall is 'adjusted' to balance the available light levels. I've been playing with candle and fire-lit Iray scenes, and it seems to work well with that approach. Well we're really not supposed to ignore that sort of thing, we have to think in real-world terms and values when using this sort of renderer. Could you tell me what some of the values you've used and been satisfied with though? 3Delight is a professional render engine and far far away from being free, but DAZ made it free to use for all Studio users, which is really great. Iray is not much more than a marketing trick. It works for a small amount of users who have the hardware and should enforce all the others to buy it. Of course you dont have to, because of the CPU only option, but this is another trick by Nvidia. They show you how it works but make you want to buy a strong Nvidia card to get faster results. Iray CPU rendering is really slow and if you already have a "bridge" to Luxrender, there is no need for another unbiased render engine. The results and speeds of Iray CPU and Luxrender are not much different. Generally for emitters I've had to up Luminance to about 5 billion to properly light scenes. So maybe 500million lumen candles, around ten of them, should light a scene? I mean, if you are playing with camera settings to essentially amp light levels, it's pretty much the same whichever you go about it. I don't know, when I tried to use Reality with Luxrender, I found I had to scrap almost every shader and start over. Iray support with 4.8, on the other hand, is more familiar. 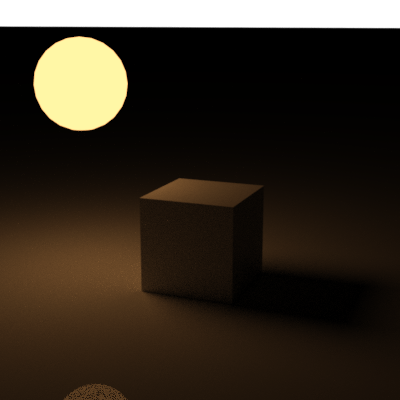 And I've had a lot more luck just shrugging and not messing with shaders at all than I ever did with Reality/Luxrender. Iray CPU doesn't seem that bad to me, though admittedly I have pretty meh gear. ...I've been running tests with Iray in CPU mode on a fairly complex scene,(3 figures - 2 with SSS, as well as a "healthy" amount of reflectivity and transparency), and am seeing the render process completing in just under two hours (1,200 x 900 resolution). Even after a 9 - 10 hour "overnight" session in Lux (rendering the same scene at the same resolution), there is still a fair degree of noise that needs to be cleaned up to consider the job "completed". Given the high level of quality, 2 - 3 hours is pretty bleedin' good compared with upwards of 1 - 2 days (or more) like I hear about with Lux. I remember when rendering with old LDP in 3DL used to take up to 4 hours to complete (more if you used pwSurface to get better skin quality). This isn't to say there are not issues with the Iray implementation, considering this is a beta and all. Actually came across an interesting one last night which I will post about in a bit once a test render is finished.